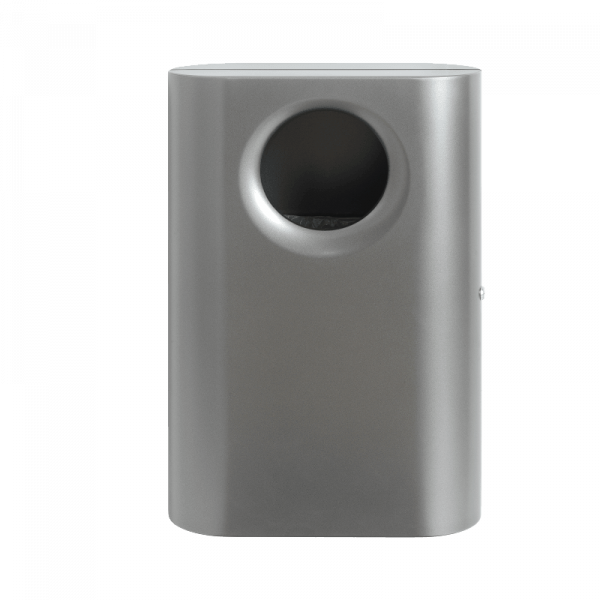 A 35 litre wall-mounted steel waste bin, powder-coated in grey for indoor and outdoor use. Mounted using a special wall bracket which is bolted to the wall. Internal bag holder for 50 litre plastic bag, wall bracket and lockable body. Surcharge for extra pre-treatment for outdoor quality. The standard coating is anti-graffiti, which means that it is possible to remove graffiti without damaging the coating.